Listening to the BBC yesterday, I heard an apparently true story about the pastor of a church. He’d found a cat that had climbed up a tree in his backyard but was too afraid to come down. The pastor coaxed it, offered it warm milk, and so on, but to no avail. The kitty simply would not come down. The tree was not sturdy enough to climb, so the pastor decided that if he tied a rope to his car and pulled it until the tree bent down, he could then reach up and get the kitten. So, that’s what he did, all the while checking his progress in the car. He only had a little bit further to go and the tree would be bent sufficiently for him to reach the cat. But as he did this – disaster – the rope broke. 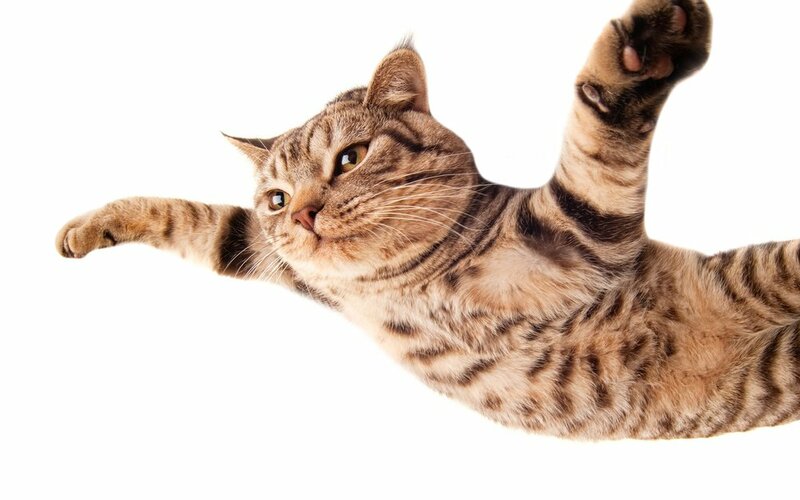 The suddenly-freed tree went ‘boing!’ and the cat went flying through the air – and out of sight. The pastor felt terrible. He went all over the neighborhood asking people if they’d seen – or, indeed, heard, a cat. No. Nobody had seen a thing. So, he prayed, ‘Lord, I just commit this poor kitty to your keeping,’ and went on about his business. A few days later, he was at the grocery store, and met one of his church members. He happened to look into her shopping cart and was amazed to see cat food. Was that an answer to a prayer? Well, that small child evidently will have thought so. And who’s to say what is and is not an answer to prayer? Today’s Gospel reading is in fact a prayer. The whole of the reading is Jesus praying. We might not immediately have recognized it as a prayer because it seems so conversational, yet prayer, at its heart, is simply a means of us conversing with God. I say, ‘simply’, but prayer is something that seems anything but simple. Yet it is the most important way in which we develop our relationship with God, and I want to offer a few thoughts about it this morning. 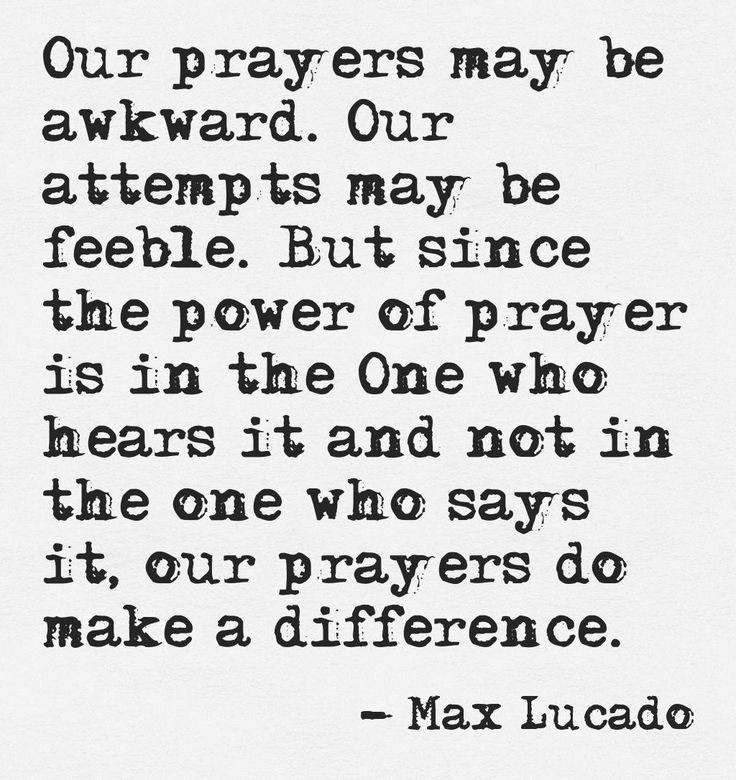 This is a pertinent topic, because, last week, the subject of prayer and, more specifically, the way we offer the Prayers of the People, became something of a lightning rod. More about that in a bit. We get to know God better in the same way that we get to know anyone better. We want to spend time with that person, to be in their company, and we want to have conversations with them. This is how we can get to know God better and to deepen our relationship with him. I imagine that, if asked, we would all want to have a deeper relationship with God. Certainly, God wants a deeper relationship with us – he wants to demonstrate his unparalleled love for us, but only if we want him to. If we want to cultivate a closer relationship with God, then we have to be prepared to spend time on it. The people around us who have really rewarding personal relationships are the people who have put time and energy into developing those relationships. Friendships take time and take work. If we want to get to know God better, we need to set aside regular time to intentionally spend time with him, conversing with him. And how does that conversation go? How do you talk to God? How do you address monarch of the universe? No differently from any meaningful conversation with a friend. Just as you would speak honestly, openly and in a kindly way with a best friend, so you can speak with God, because in fact he is a best friend. He is happy to listen to everything that is on your heart and mind at that time. He is happy for you to share with him all your hopes and all your fears, all your joy and all your sadness. As with any good friend, he is there for you whenever you need to talk. That doesn’t mean, however, that you should only get in touch when there is a crisis going on. We’ve all had friends who only seem to get in touch when there is a problem. A mark of a steadfastly deep friendship is intentionally wanting to spend time with a person whatever is going on - which, most of the time, is a bit mundane and pedestrian. Obviously, conversation is a two-way thing. Again, we’ve all had friends who talk about themselves all the time, and never seem to ask about you. Someone I knew back in England would have a friend call her up practically every day and launch into a lengthy monologue about his troubles. My acquaintance would occasionally put the phone receiver down and go off and attend to other things for a few minutes, then come back, pick up the receiver, say "uh huh" and then go off again. Like I say, prayer is a two-way thing. But how do you ask God how things are going for him? Wouldn’t that seem a little weird? After all, God is all-powerful and he already knows everything that is and will be, so it isn’t quite the same, is it? Well, perhaps we should ask God how other people are, how the world is, how we can help him. That’s how we’d be with a friend that we cared about, isn’t it? So far, we’ve touched on the things that we would share with God, and we’ve touched on how we ask questions of God. But how do we hear him? How do we come to hear and recognize God’s voice? This is perhaps the hardest part of a conversation with God. Two things are for certain, though: first, we won’t be able to hear God’s voice if there is too much other noise going on and, second, we won’t be able to recognize God’s voice very easily if we’ve not bothered to spend much time getting used to what it’s like. There is no getting around the fact that the only way to evolve a deeper relationship with God is by developing a better prayer life. And there’s no getting around the fact that the only way to develop a better prayer life is by intentionally spending time in prayer. That means that we need to set aside time specifically for prayer, and we need to remove any distractions that get in the way of us focusing on the conversation with God, and the noise and static of our lives that stop us hearing his voice. As anyone who practices meditation will tell you, a key and critical component of successful meditation is adopting a silent, serene attitude, a relaxed posture and a relentless focus on the matter in hand. Meditation is hard work and it takes time to get the hang of it. But, as any person who has got the hang of meditation will confirm, it is absolutely worth the effort. It induces a sense of calm, of well-being, of transcendence above the melee of everyday worries. It is helpful in alleviating a whole range of maladies. The way one prepares for, and enters into, prayer is just the same. It is hard work, it takes focus, and it takes a good while to begin to get the hang of. But it is absolutely worth the effort, and it is the key spiritual discipline that there is. Yes, it is a discipline. It is somewhat formulaic and it repetitive and it is – here I go again – not easy. It can seem frustrating, awkward, even baffling. And lots of us who go to church and profess to be Christians don’t really spend a whole lot of time on it, if truth be told. So, if you are wondering why I am always messing with the Prayers of the People in the liturgy, it’s simply because I believe that one of the most important things that I do as a priest is to help us – myself included – to become better at prayer, for all the reasons I’ve given. If you look at the section called ‘The Prayers of the People’ in the Book of Common Prayer, you will find six different forms of prayers to be recited. These are nice prayers, to be sure, but over the years, in the many churches I have been part of, they can end up becoming a kind of formulaic laundry list. There is a place for the ritualistic repetition of set prayers, but they aren’t necessarily the best way – or, at least, the whole picture, in how to develop a deeper relationship with God and to hear his voice. For that reason, I change the prayers that we say on a regular basis, and I don’t always use the ones set out in the Book of Common Prayer, through often I do. And I have tried to cultivate a little bit of silence, in order not only that we say things to God but that we have the opportunity – and the right conditions – for him to say things to us. That is the rationale for why, last week, the space for silent prayer expanded a whole lot. It was because I asked our prayer leader that day to leave a much longer pause. What I failed to appreciate at the time was that just introducing a whole chunk of silence without developing the spiritual skills to know how to deal with that silence was somewhat putting the cart before the horse. This sermon has been a way of beginning to address that. Although there was some discomfort at those long silences, pretty much all of the conversations that I have sought to have with people since then about this have acknowledged that, in principle silence is a good thing and would be welcomed, but that we needed more tools to help us use that silence to good effect. So, this morning, we’ll dial back the silence a little bit, and I encourage you to try to begin that process of conversation with God, and, crucially, see the silence as a space in which you can begin to listen for God’s voice. And then, when you do learn and recognize God’s voice, how do you take on board what he says, and act on it? And will it be what you wanted? That, as they say, is a whole other sermon.